A neat way to decorate with glitter! All the pizazz and sparkle without all the mess. 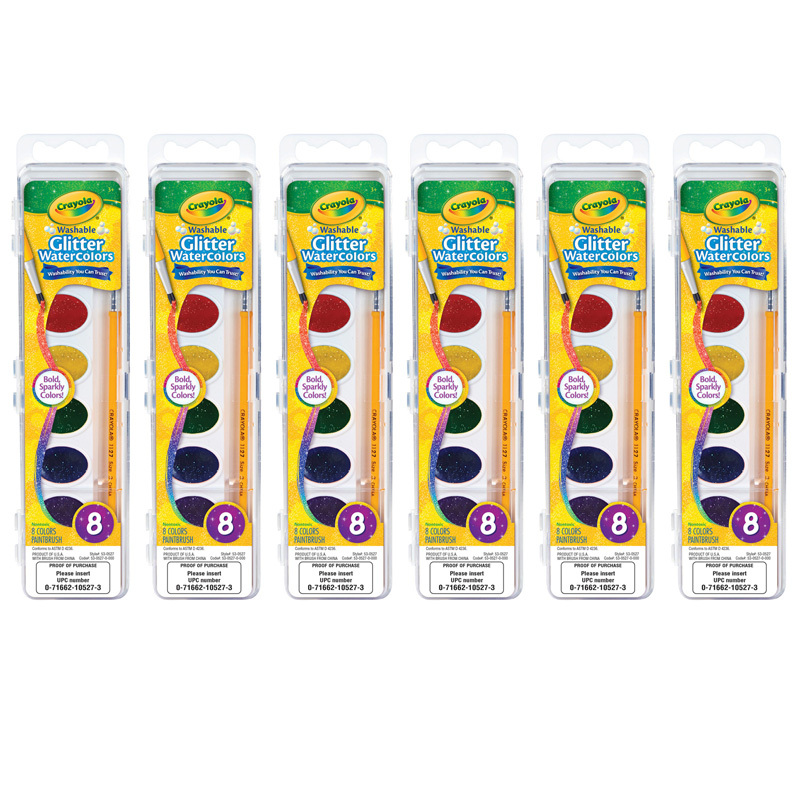 Easy-to-handle, resalable 10 cc tubes dispense non-toxic glue with fun, sparkling accents. Great for collage and paper decorations. Each set includes 6 pens in bright hues assortment. 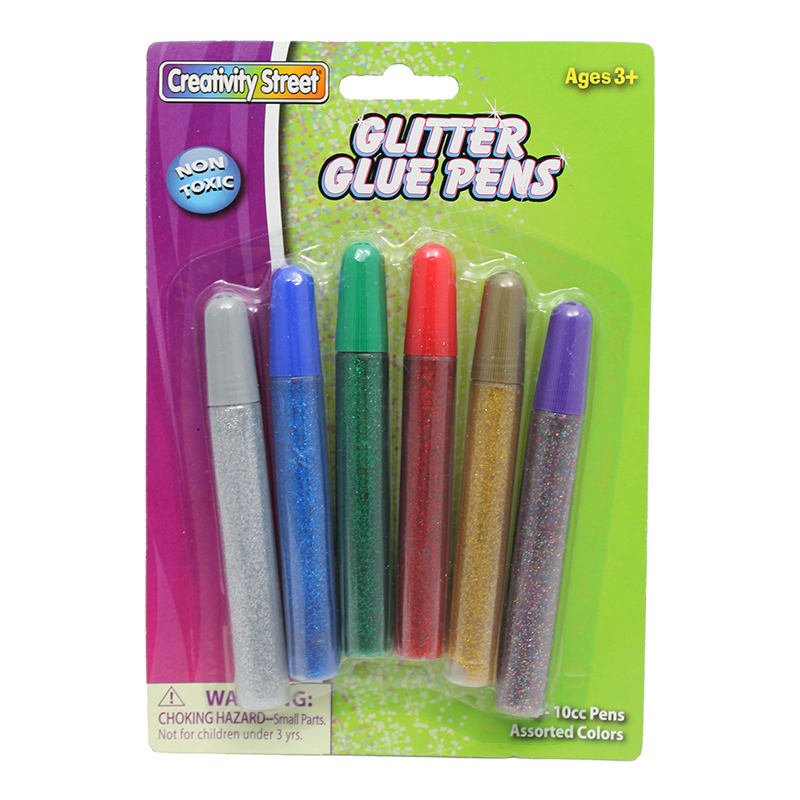 Sold as 6 sets for a total of 36 glitter pens. 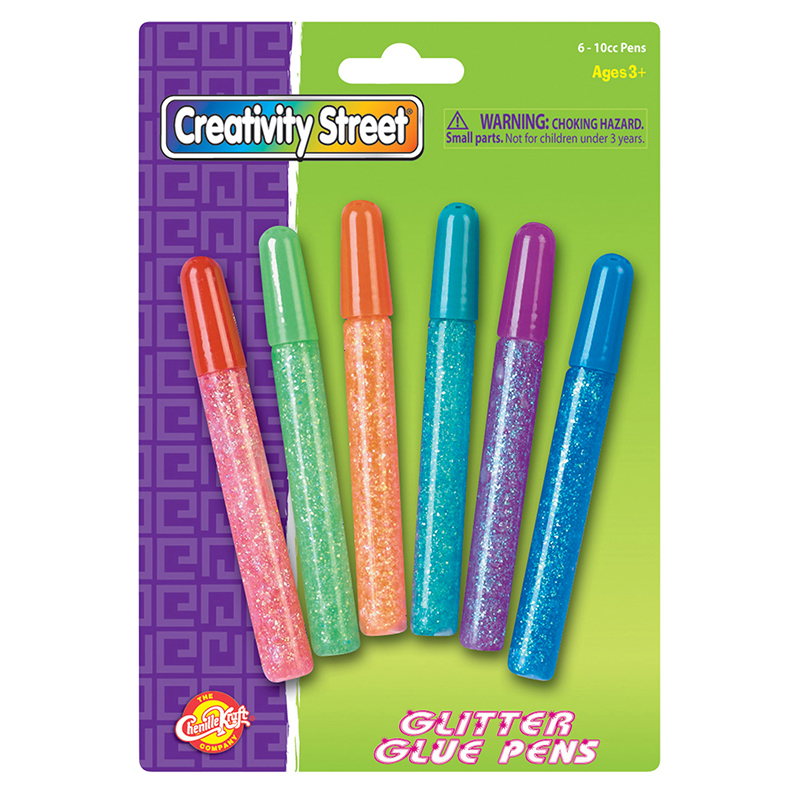 The (6 Pk) Glitter Glue Pens Brighthues Color 6 Per Pk can be found in our Glitter product category within the Arts & Crafts.